If you don't want to keep jumping out of bed to turn out the light just before drifting off to sleep, a nightstand is a convenient piece of furniture to have by your bedside. Not only handy places for a lamp, nightstands can provide storage solutions that add functionality to your bedroom. But once you have decided to add them to your room, how will you know you're buying the right one? To help you take the guesswork out of purchasing nightstands and to decide how and what to choose, here are a few ideas. Aside from the obvious purpose of the convenience of keeping things like a glass of water or an alarm clock close by the bed, nightstands complement a room's décor by adding balance. Take measurements; you don’t want to end up with a nightstand that is either too big or too small for the intended space. When measuring, also include the height from the top of the mattress to the floor. This will give you an idea of how high the nightstand should be so that you can use it comfortably while sitting in or on the bed. Ideally, it should stand at a proportional height to the bed and be no higher than the mattress by six inches. Determine the features you would like the nightstand to have. If you’re an avid reader, you might want someplace to put your current reading materials, as well as drawers for storing other items and accessories. Nightstands are available in a variety of styles and configurations. They can be comprised of all drawers or a combination of drawers and shelves. Are you in the habit of snacking while in bed? For added functionality, select a nightstand that has a pullout shelf. How many nightstands do you want? Typically, especially when two people are sharing a room, there are two nightstands, one on each side of the bed. When you are adding night stands to an already furnished room, select ones that are the same scale as your current bedroom furniture pieces. For example, if the dresser is oversized, then the nightstands should be too. You will want to select a style for the nightstands you choose, or if you are decorating a room from scratch, the entire bedroom set. The style you choose for the night stand and the other furniture pieces in your home, defines the room, giving it its character and expression. Traditional style has its roots in fashions, trends and social customs of the past. It is instantly recognizable by stylized motifs, intricate carvings, lustrous finishes, flowing lines and ornate, architectural features such as moldings and carved pilasters. 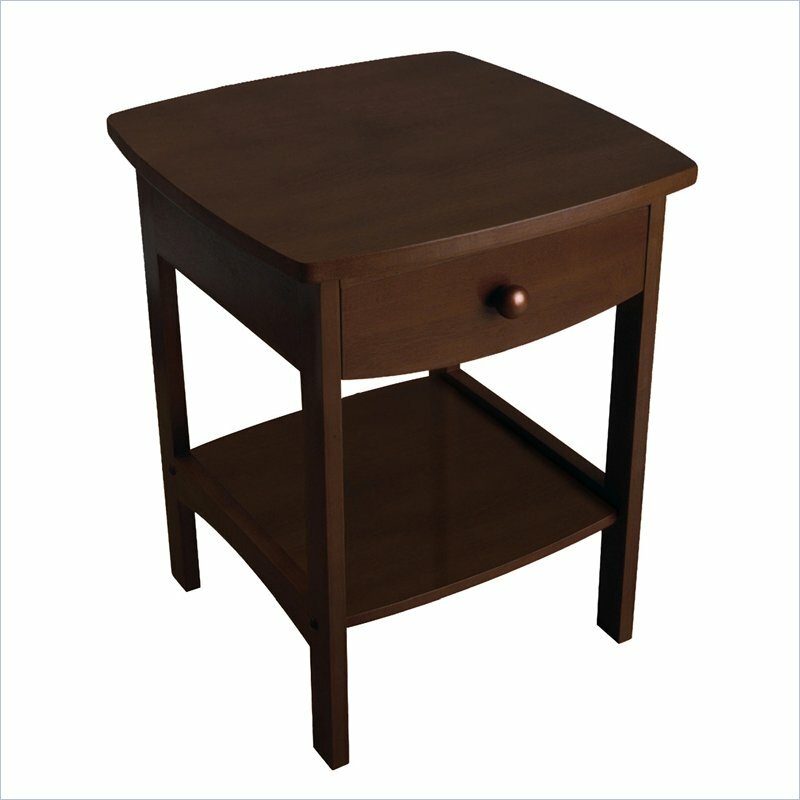 A traditional nightstand typically has a formal or stately appearance. Contemporary style is an expression of current fashion trends. Contemporary furnishings have smooth, clean lines and use geometric forms in unique ways. Another hallmark of contemporary styling is the use of different materials to create visual interest and texture. A contemporary nightstand will give a room a calming, uncluttered appearance, with its relaxed lines and restrained decorative elements. Modern and contemporary are often used interchangeably, but they are distinctly different. Modern design emerged in the second half of the twentieth century and reflected the new technologies, materials and philosophies of the Machine Age. Furniture is used to define interior space by employing geometric form and neutral palettes. Furnishings, often asymmetrical, with sleek and polished surfaces, emphasize function and are stripped of all decorative detail unless it is an inherent part of the design. Metal and glass are common construction materials. Transitional style bridges the gap between the traditional and the contemporary. It contrasts austere lines with intricate curves. While a transitional night stand can possess the look and feel of a traditional piece of furniture, it is less formal and traditional decorative accents are pared down and are somewhat more relaxed. A transitional nightstand will have an understated appearance while being sophisticated at the same time. Country style combines more formal traditional styling with a casual charm, and are noted for looking relaxed and casual. They contain a distinctive period flavor based on their original country or region of origin, such as French Country, English Country or Provencal. 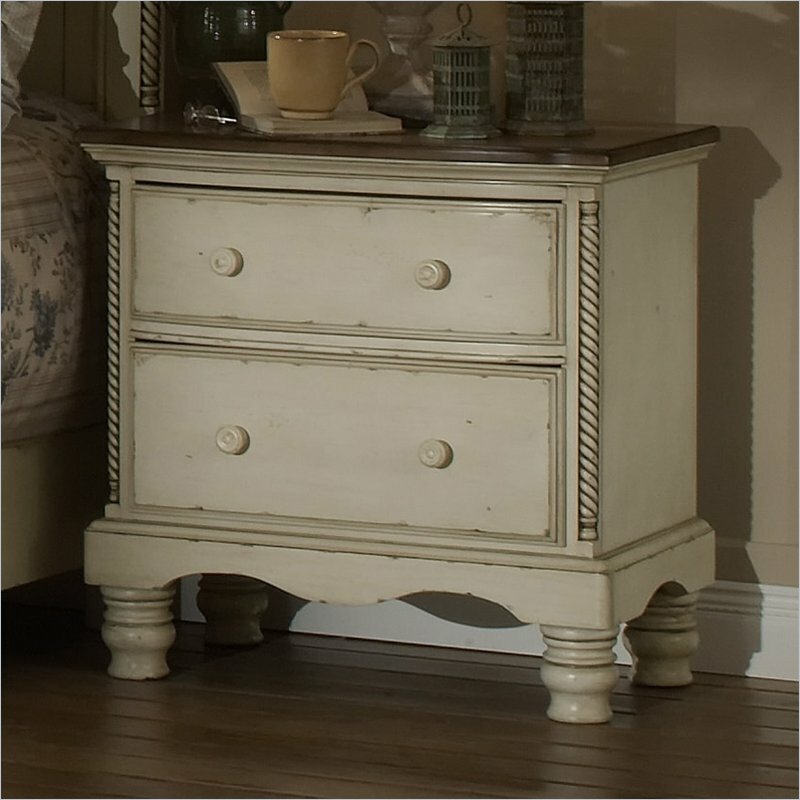 Country style nightstands are typically made of wood, with light to medium finishes. Some subcategories of country style combine woods and metals for a cottage or rustic look.